As a Filipino national, I am always proud and fascinated with how Philippines has very rich and unique culture. I would brave long drives, and take flights and ferries from an island to another just to experience it myself. I have seen how ethnic groups and tribes in every corner of this blessed archipelago do their rituals and how their way of lives interestingly are in motion pictures, documentaries and even textbooks but there's a whole lot of difference when you are there, with the locals. There's a lot of ethnic groups that still thrive in one of the Philippines' great divide, Luzon, and they exist in the outskirts - to the highest, farthest mountains. It is not the tradition only that one can best enjoy but also the breathtaking view that it offers. If we seemingly happen to be in the same wavelength, off we go to the Cordilleras! 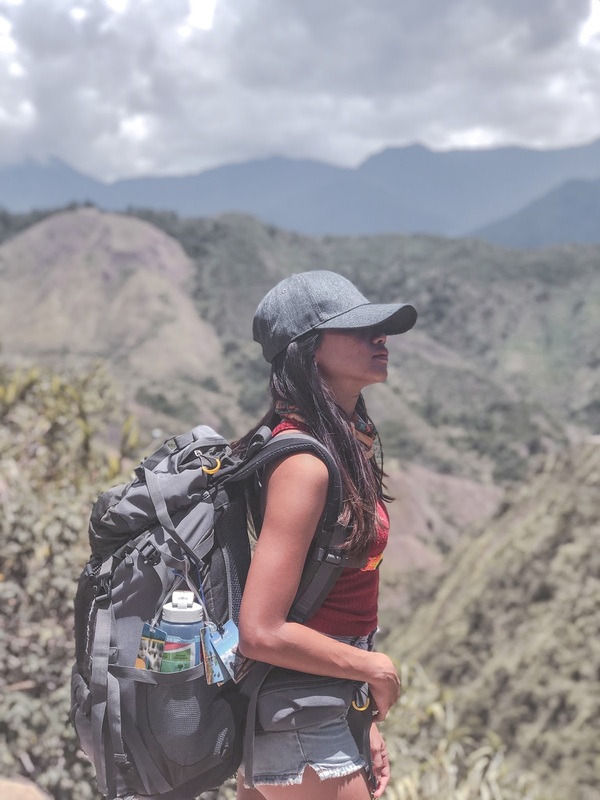 At around 12:00 noon, we reached the turning point or the junction where we had to leave the ride and take an hour trek to our first destination - Buscalan Village. The sun was up and glaring which made the trek a little more fagging and exhausting. We stop from time to time to catch our breath and get hydrated. After an hour, we reached the souvenir shop where we registered and had waivers signed. Finally at the foot of the village! Buscalan Village will welcome you with Botbot kids running around and wandering boars. Expect no fancy inns nor hotels and warm showers in the village for you got to live a basic life with the locals. There are no cellphone signals at all for smartphones but there is for the ones with keypads exclusive only for Smart Telecom subscribers. They offer their own homes for homestays ranging from 200php-300php. You'll be provided with mattresses, blankets, pillows, food and a room at their own houses. There are also no canteens nor restaurants in the village. The locals are very accommodating that they would really give and assist you with what you need. They'll really treat you like their own family. You can actually sit down with them and talk about everything under the sun. Originally, Batok or hand-tap tattoos are only exclusive for their tribe as it is part of their culture. A tattoo on their skin signifies a milestone on their lives - marriage, success in battle. As time passed, it has become a form of art where they have shared it to the non-members of the tribe. 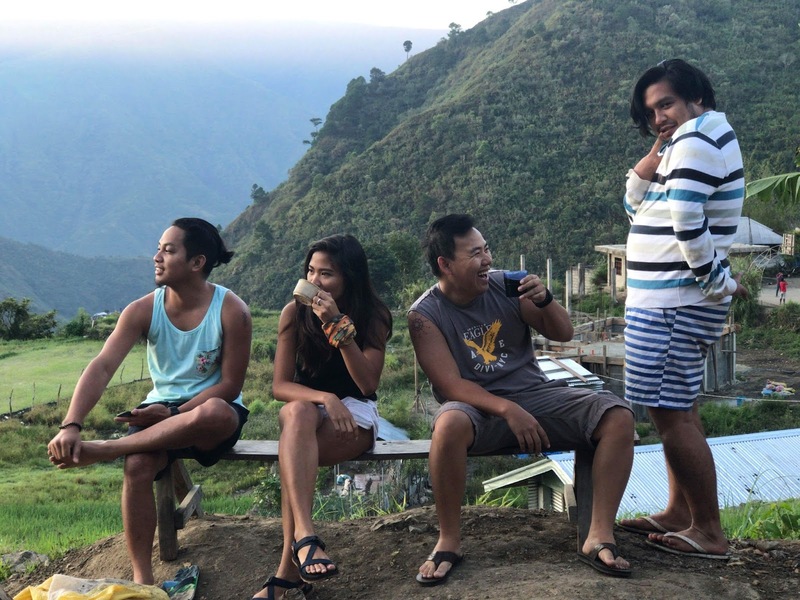 Most of the time, people would travel to Buscalan Village to get inked by Apo Whang Od. However, due to old age, she could only manage to ink her signature on the skins of the travelers. But on days when she is down for some tattooing, she also does the design that you desire depending on its complexity. Price starts at 300php for the smallest tatts and Apo's signature costs 100php. 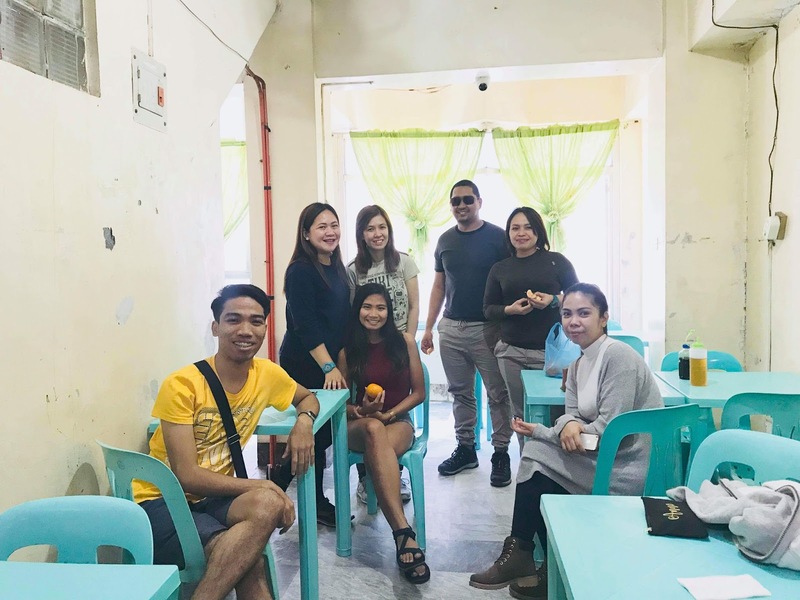 On peak seasons such as weekends and holidays, you can get inked by other mambabatok such as Grace, Elyang, Beverly, Kuya Kennedy and others. You can ask your local tour guide for it. As for the designs, you can bring one with you that you desire but you also choose among the designs that they have. These traditional hand-tap tattoo artists use thorns attached to a bamboo mallet and a suspension of charcoal ashes and water. For safety, some asks the artist to use a thorn different from the one he or she has previously used. It was an honor to be inked by the last Mambabatok, Apo Whang Od Oggay. She was considered as the last mambabatok because in their tradition, they could only train someone within their bloodline but Whang Od didn't bear a child. She was the last of the Mambabatok of the villages in Kalinga but she didn't have anyone to pass the tradition on. Instead, she had her neice, Grace, trained. 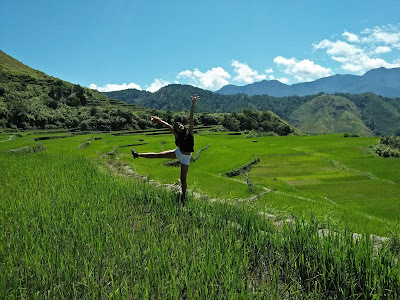 Aside from getting inked, there are other more things to enjoy in Buscalan. First, you can sit down over a coffee with the locals and talk about their culture and traditions. Their rice coffee is a must try! For only 100php ($2.00) I was able to take home 250g of it! It can also be best enjoyed when welcoming the sunrise, getting a dose of fresh air and cold breeze at Padjao rice terraces. On your descent or ascent, you can also try bathing into the waterfalls that you can pass by at the trail. Should you decide to stay longer, you can also try hiking into the nearby mountains. 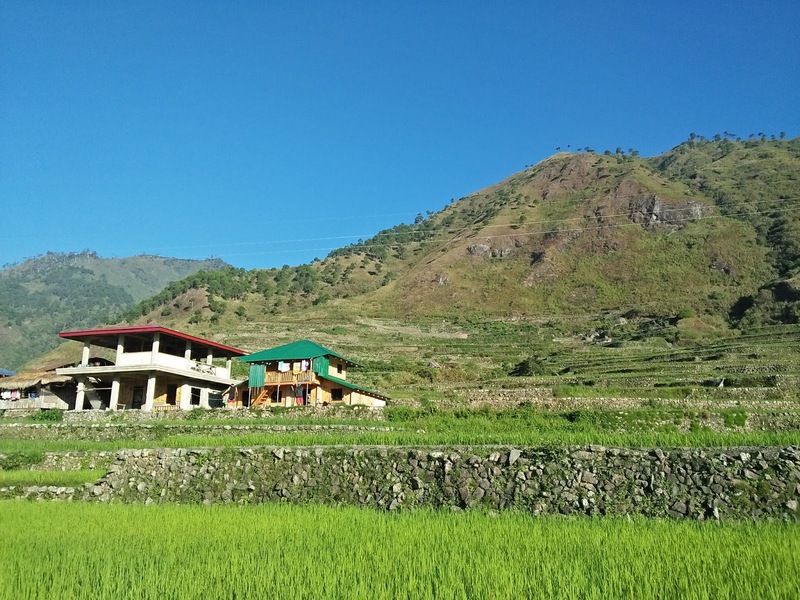 There are several ways to get to Buscalan Village. You can get there via Tuguegarao City, Baguio or Tabuk from Manila. a. From Kamias, Quezon City, you can take a Victory Liner bus straight to Tabuk. b. Alight at Bontoc then take a bus or jeep to Tabuk. Apart from food, fare and home stay expenses, consider including into your budget the eco-cultural fee of 75php/ head and guide fee depending on the number of tourists belonging to a visiting group. Guide fee starts at 1,000php for 1 to 5 tourists per day. For hassle free trip to Buscalan Village with a side trip to Bayo, Batad and Banaue Rice Terraces, you may join Sole O' Travellers organized tours. I have joined their tours twice and I would still be recommending them. Their tour coordinators are approachable and funny (lol at you, Aironn)! They're very organized. For only 2,800php, you've got nothing to worry about. You may check their Facebook page for the schedule of their tours.